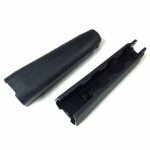 New U.S. made HK51-53 length black handguard by Beltfed Precision Products. This a great U.S. made 922r compliance part that is a near perfect copy of the original German HK51 / HK53 handguard. 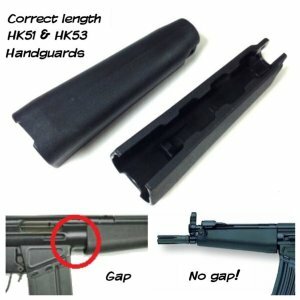 Most U.S. made 51 and 53 style weapons used MP5 length handguards which leave a noticeable gap between the mag well and handguard. Now you can fill that void and give your valuable HK clone the proper look it deserves.